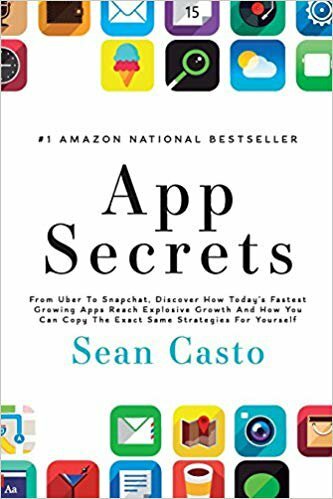 Sean Casto is the founder of the premier app marketing agency PreApps, where he has helped thousands of apps reach millions of downloads. He’s also the creator of the App Marketing Academy, the world’s best online mobile app marketing program. million-dollar apps like Flyp, OverKill 2, and Gadget Flow, and even billion-dollar apps like Cheetah Mobile’s Security Master (over 550,000,000 downloads). Sean has been a guest speaker at industry conventions for Microsoft and Samsung, and he has lectured at universities such as Northeastern and Harvard. He has also appeared on and been featured by The Washington Post, USA Today, The Boston Globe, Entrepreneur Magazine, and The Associated Press. His combination of inspiration, humour, and proven results-oriented strategies add up to an experience your audience will thank you for repeatedly... and never forget! I found this episode fascinating, Sean Casto shared so many success strategies that really can make a huge impact to you life and business. Speaking to people who have achieved success in your specific field, take the time to search and reach out to people who have already done what you want to achieve. This is a great lesson and in fact one of the reasons I decided to create this podcast as I wanted to meet successful people and find out how they did it. Practicing gratitude, you know I cannot stress how amazingly beneficial this strategy is to improve your mindset and develop a Success IQ. Just listen to Sean it takes him three minutes and he believes in it so much he has been doing it for four years. I also loved his 7 pillars to creating a million dollar app, what I loved was how these also are valuable life strategies as well.